Hate all the modifications. I’ll stick with my Gear Sport. Great! And when are all the issues with the Galaxy Watch going to be fixed? Hr issues, steps accuracy, deep sleep issues… are they ever going to fixed? Or samsung just hopes users upgrade? I could’t agree most. And add issues with gps. This watch is so unlike Samsung it surly is puzzling why they would make such a thing. Gotta wait to find out I guess. What sort of comparison? There’s not much we can say before it goes official, but 46 mm Galaxy Watch is rather different from the Galaxy Watch Active. 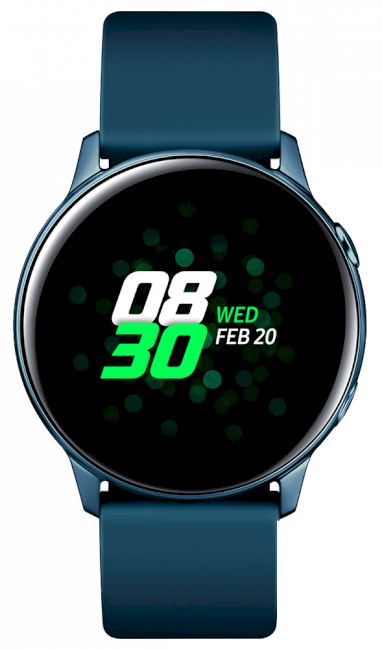 Watch Active will be about fitness and lack a cellular option, and no bezel ring would be a deal breaker, so you should buy the Galaxy Watch if you want a complete option. But, again, wait for the official announcement. The smart option right now seems to be to buy the Gear Sport at a discount even though it’s two years old. You get a bigger screen and the bezel ring. I bet this new Watch Active is faster, but I’m not sure if it’s worth (what will likely be) the premium price. Would be nice to have full screen display, rounded. And just very thin bezel ring between screen and frame.